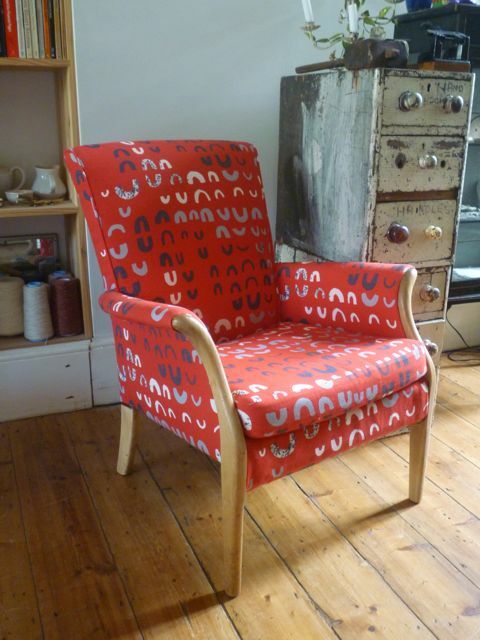 Just before the summer I upholstered this Parker Knoll chair for Andrew and Helen. They had been to the Robin and Lucienne Day exhibition at Pallant House Gallery in Chichester (sadly no longer on) Here it was possible to get some of the original textile designs reproduced on fabric. This was done at the Glasgow School of Art. 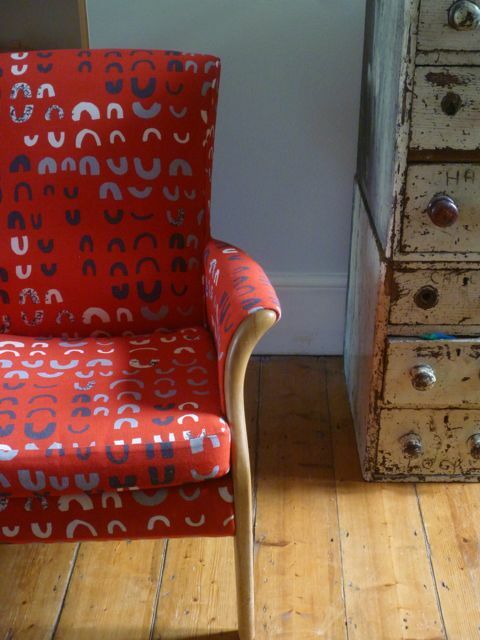 The design used for this chair was called 'Magnetic' by Lucienne Day, in colour red. LOVE the fabric - is it still available anywhere?! you did a really great upholstering job! i love that design (need to dig out my old lucienne day scp bag). great job on the upholstering indeed (and the embroidery work above too). you are so talented Sally! 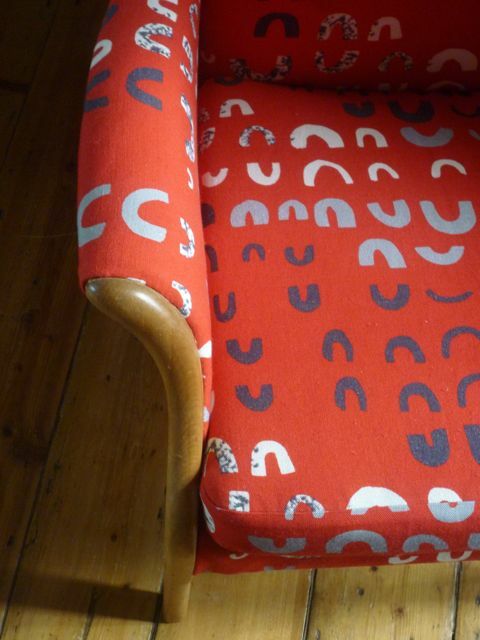 I'm not sure if you can still order the fabric, try contacting the gallery and see if they can help. thankyou all for your kind comments!